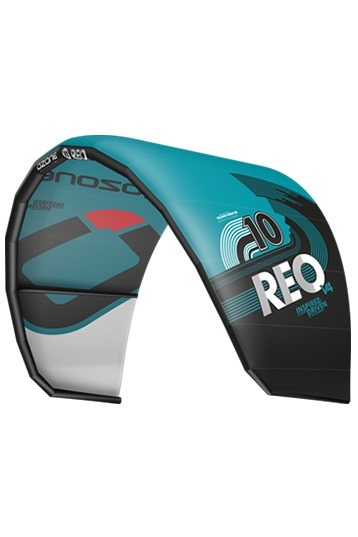 The REO is designed purely for waves and surf board riders, this is a dedicated wave riders kite. What is the criteria for a wave kite I hear you say…. Well, we and our riders think it needs to have fast handling, float down the line, good relaunch, mega depower and plenty of power to get you back up to the lineup. The REO is the result of more than a year’s development. We wanted to create a kite that was versatile in all aspects of wave riding…so if you wanna park & surf or loop it down the line, hooked or unhooked, the REO is designed to deliver in all these circumstances. The REO is made purely for wave and surf board riders, this is a dedicated wave riders kite. We tested the Ozone Reo in 12 to 30 knots wind, with 25 meter lines and 45 cm bar. The Reo is a true wave kite for more advanced kitesurfers. It turns quickly, is very reactive and provides good feedback both powered and depowered. It has a small turning circle, is steerable in the entire windwindow and possesses a complete depower (onshore winds), with a good drift while riding down the line (side shore winds). In its extreme low-end the Reo may give some stability issues on the edge of its wind window. Great high-end! The Reo really gets into its element in the high end of its reach. All in all, the Ozone Reo is a specialized wavekite for side shore and onshore wind conditions.